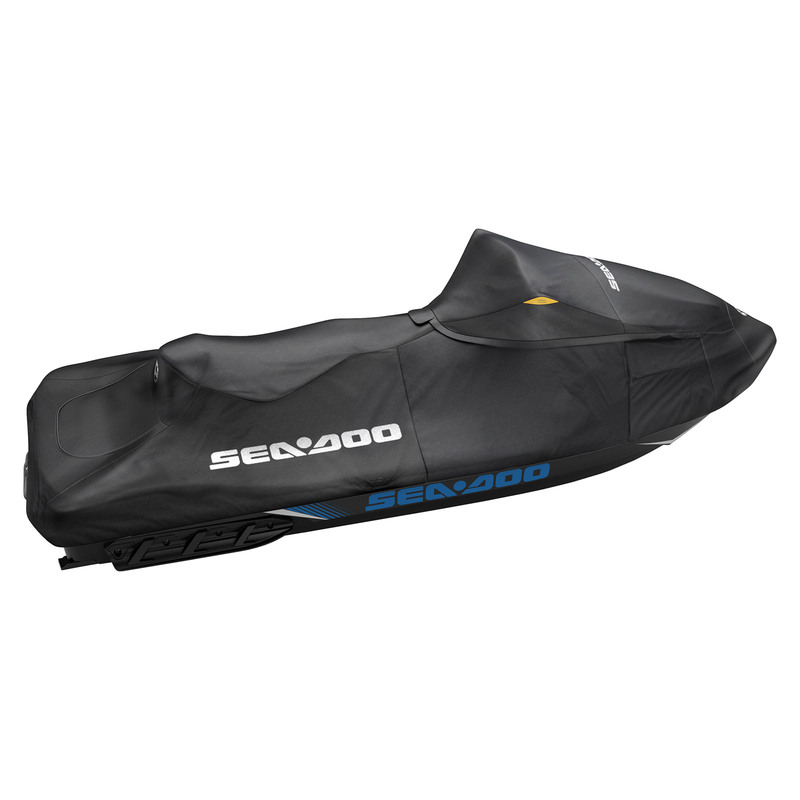 Weather-resistant trailering cover protects your watercraft during storage and transportation. • Heavy-duty canvas made of UV-resistant solution-dyed fabric with inner soft liner to protect colored panels from abrasion. • Quick and easy installation with strapless fixation system. • Patented air release vent system for trailering. • Standard on GTX Limited models.